After meeting on the BwBTC meetup in July I cajoled artist extraordinaire, avian fiend, blog star and all around birding world cutie Birdspot (Catherine) to join me for a days birding at Jamaica Bay the other week. Surprisingly for someone based in hipster central Williamsburg BK she hadn’t quite made it out to Jamaica Bays renowned East Beach shorebird Mecca (some mumbled excuse about allergies). Anyway after a good but somewhat species poor trip a couple of weeks back (see her much better description of the day out there than I could ever manage) we decided to meet back up for another stroll through the filth and the fury that is a scorching hot summers day at Jamaica Bay. Keys to birding Jamaica Bay are: 1) to have worked out the tide times and be there for high tide in the bay (which pushes shorebirds into the confines of the East Pond), 2) to not be at completely the wrong place at the wrong time. Well we managed to mess up on both counts Saturday, arriving just after low tide and happily wandering the birdless shores of West Beach whilst everyone else was enjoying killer views of Wilson’s Phalarope (my professional tours run much more smoothly than this, I swear!). No big loss for me having seen hundreds of the beggars in Colorado, Wyoming and Montana this year (trip reports online here and here) but I think Catherine might have missed out on a target bird for her aborted New York Big Year list – oops. Jamaica Bay is really one of the best sites for shorebirds on the Northeast coast, only really being threatened for the title by the incomprable South Beach in MA (want to go? Sunrise is going there in under two weeks!). The bonus though is that Jamaica Bay is easily doable in a day from Southern CT and South Beach most definitely isn’t! As much as reading books can help you prepare to identify birds there is nothing like spending time in the field with them. Whether it’s CT’s lack of oceanside shoreline or it’s weird east/west running coast (both regular excuses) it is hard to find the variety and numbers of shorebirds even at our best known hotspots to quickly become proficient at these tough little group of birds. Milford Point can be good, but views are often distant which doesn’t help close study and what has happened to Sandy Point is currently a mystery – there is simply nothing there this year!!! Jamaica Bay on the other hand is the perfect spot to earn ones shorebird spurs. American Golden Plovers mix with Black-bellied, Long-billed and Short-billed Dowitchers can be seen and compared and peeps of all shapes and sizes are possible. The variety is fantastic and species that are considered uncommon in Connecticut are all to be found readily by those with a discerning eye. The species list was pretty impressive with all of the usual suspects putting on a show. Long-billed Dowitcher, Stilt Sandpipers aplenty, White-rumped, Western and Pectoral were all on show and somewhat to be expected. Compare that to my own fair state and it would have been a killer day in the field. Add to that Gull-billed and Forster’s Tern and you have a host of species that it would be tough to get on a days shoreline scouring in the Nutmeg State. Anyway after running into some of the glitterati of NY birding and completely baking our brains in the hot sun for six or seven hours without any form of sustenance we decided to go wash off some of the funk at the visitors center and escape to New York. Another top tip for Jamaica Bay birding, is making sure you wash the stinking black sludge off of your clothes and shoes at the end of the day using the conveniently placed hose at the left of Visitors Center building – otherwise you’re gonna be stinking like Swamp Thing for the rest of the day. Sounds like a terrific day. Birdspot is fabu!!! I’m sorry you will not be around for the bird bloggers meet-up at JB on the 22nd. Talk about the bloggeratti! Some great people are coming. Bummer. I was a South Beach (MA) last weekend for the Hawaiian Shirt Shorebird Safari. We had good diversity but surprisingly low overall numbers. It was an event not to be missed though. You mention South Beach MA as one of the shorebird hotspots. Where is South Beach I am assuming not the one on Martha’s Vineyard. I lived on Vineyard for five years in the eighties but now back in Ireland. Thanks – it was fun – I’m sure you’ll have a great time next week so I am very very sad that I won’t be there to see you again. 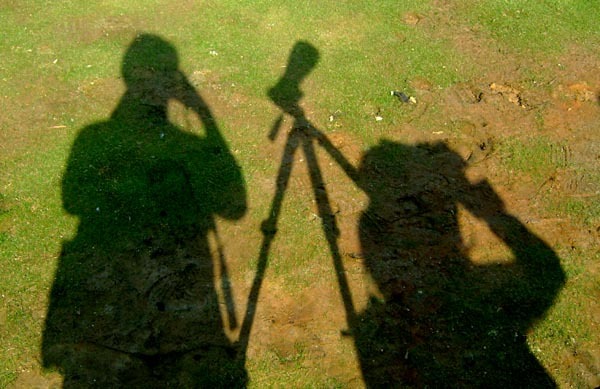 I will be at the Birdfair in Rutland England instead which should be fun but I miss your outing – I guess you can’t be in two places at once – a skill I always thought might be handy! As we get into October though I might have to see if I can drag y’all up to CT again. South Beach is a huge sandbar off of Chatham. Monomoy used to be the place to go but due to shifting sands the shorebirding has declined there over recent years and South Beach has replaced it as the place to go. I’m sure living on the Vineyard had its moments though. Beautiful spot and site of my longest twitch. For the Red-footed Falcon just a few years back. Would love to bird with you again. Let me know. Speaking of October, I have been waving around an idea to go to Hawk Mountain in October. Too far for you? And for heavens sake, why are you not on Twitter yet? It would be something of a busman’s holiday for me (does that phrase mean anything to anyone in the states?) as I am going to be the official counter at the Greenwich Hawk Watch this fall. It’s also a little bit far. just catching up on your blog…Glad you two went birding and had such a good time..
have fun at the Birdfair!